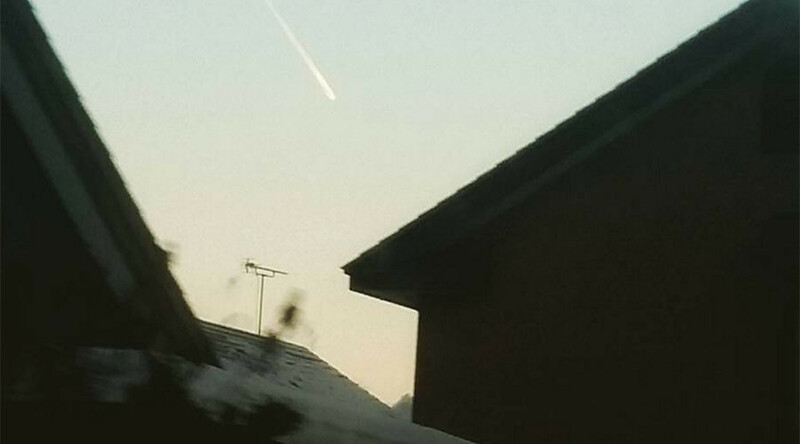 People on Japanese social media have been left puzzled by a mysterious fireball in the sky. Some think it was a meteorite or a comet, while others suggest it could have been a falling plane. The object was reportedly seen near the city of Hakodate on Hokkaido, Japan’s northernmost island, at 4:30pm local time (07:30 GMT), people on Twitter wrote. Amazed ‘sky-gazers’ took to social media to share pictures and videos of the unknown object, wondering what it was, with theories ranging from meteorite or comet to a falling plane. Russian social media users were similarly confounded earlier in December, when people in Siberia witnessed a large meteor exploding in the sky that briefly turned the evening as bright as day. Local forums were bombarded with speculations that the flare had been caused by a possible rocket malfunction or other technological mishap, but the authorities assured locals that the burst of light was natural and had caused no damage.